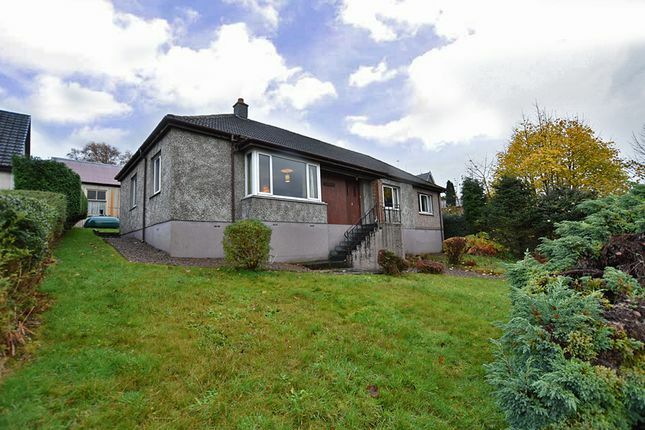 Situated in an elevated position and enjoying stunning views sweeping over Loch Linnhe and the surrounding countryside, Burnbank forms a charming, detached bungalow set in generous grounds. Whilst in need up some upgrading and modernisation, the property offers spacious accommodation in a convenient layout, benefits from oil fired central heating, double glazing and would make a fantastic family home. The bright lounge with bay window facing the loch is a most attractive feature. Centrally situated on Alma Road, Burnbank is ideally located close to the centre of Fort William and is well placed to take advantage all the amenities the area has to offer. Locally, Fort William offers shops, supermarkets, restaurants, railway & bus station and a range of professional services as well as primary schools and a secondary school. The area also boasts a huge range of sporting and recreational opportunities and is now known as 'The Outdoor Capital of the UK'. Door with glazed side panels to hallway. t-Shaped, with two built-in cupboards. Hatch to loft. 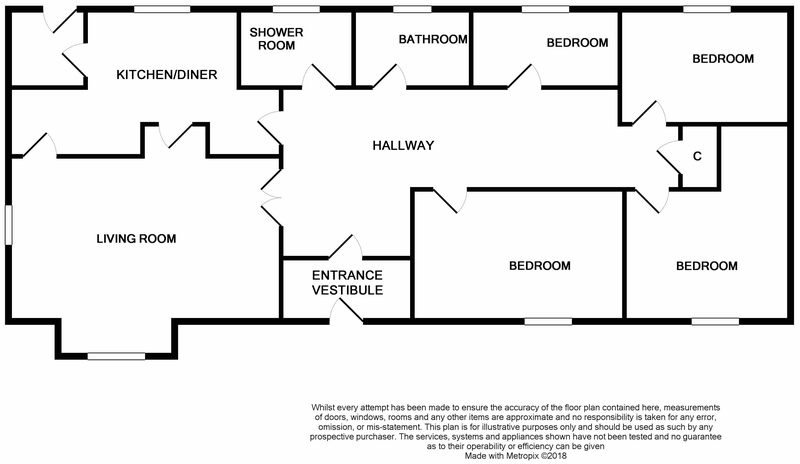 Doors to lounge, kitchen/diner, shower room/utility, bathroom and bedrooms. With bay window to view and double window to side. Feature fireplace with tiled hearth and wooden overmantle. Door to kitchen/diner. l-shaped, with double windows to side and rear. Fitted with wood trim kitchen units, offset with marble effect work surfaces. Double stainless steel sink unit. Tiled splashback. Plumbing for dish washer. Three built-in cupboards, one housing hot water tank. Warmflow boiler. Hatch to loft. Door to rear vestibule and hallway. With two built-in cupboards. UPVC door with frosted panel to rear. l-shaped, with frosted window to rear. Fitted with white suite of WC, wash hand basin set in vanity unit and shower cubicle with mains shower. Wet wall splashback. Heated towel rail. Plumbing for washing machine. With frosted window to rear. Fitted with grey coloured bathroom suite of WC, wash hand basin set in vanity unit and bath. Fully tiled walling. With triple window to view. With double window to rear. Built-in cupboard, built-in wardrobe and shelved alcove. With double window to rear. Built-in wardrobe with triple sliding doors. With triple window to view. Built-in wardrobe with triple sliding doors. 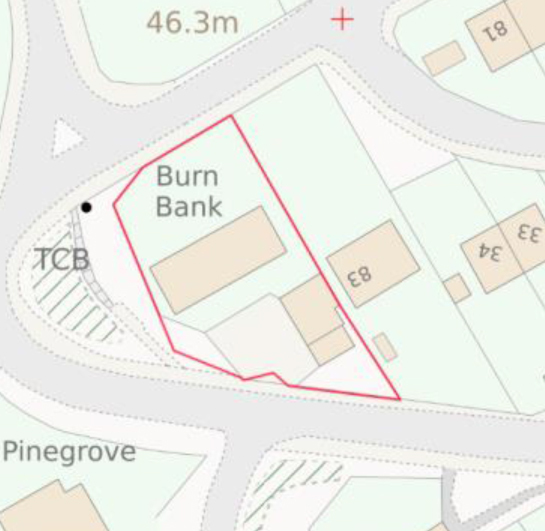 Burnbank enjoys a spacious corner plot, with grounds to all sides. The front garden is laid in the main to lawn, offset with mature trees, bushes and hedging with a gravelled pathway leading to one side. A paved pathway leads round the other side to the rear garden, featuring a mixture of concrete and paved pathways, offset with mature trees, bushes and hedging. A private tarmac driveway leads to a parking and turning area. Outbuilding with garage. Wooden garage. Travelling on the A82 north, bypass Fort William town centre, turning right at the roundabout and continue on Belford road, passing the Belford Hospital and St Mary’s Church on the right. Take the next turning on the right signposted Alma Road & Victoria Road. Bear left up and round on to Alma road and continue to the end of this road. Burnbank is the last property located on the left hand side with steps leading up to the front garden. Alternatively, turn left up and on to Hill Road and there is private off-street parking to the rear of the property.